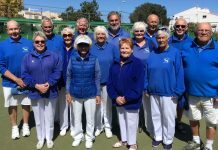 San Luis Bowls Club Report 17.11.17. Generally a successful week for our teams. SL Klingons home v VB Drivers; an excellent result 14-0, shots 134-80. 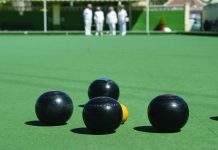 Winners: Pat Bird, Ray Pollock, Graham Bird 23-11, Kath Reid, Ray Clarke, Ian Kenyon 23-20, Margaret Morrison, Sabrina & Russell Marks 33-9, Colin Jackson, Keith Phillips, Mal Hughes 17-15, Janet McEneany, Ann Holland, Peter McEneany 15-22, Bob White, Sheila Cammack, Giuseppe Galelli 16-15. 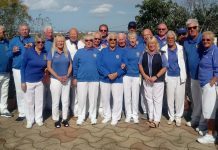 SL Trekkers; a good result away v Q Diamonds 10-4, shots 102-91. 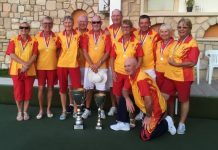 Winners: Alan Bowen, Peter Fuller, Suzi Cooper 14-13, Ros Holmes, Bill Webb, Mike Regan 18-17, Shirley Verity, Jo & Jules Pering 21-12, Irene Everett, Beryl Regan, Vic Slater 27-12. SL Vulcans, away v Q Rubies, 6-8, 105 shots-102. Winners: Doug & Fay Beattie, Geoff Shand 24-13, Audrey Ford, Margaret Clarke, Charlie Marigold 24-21. SL Romulans, home v CB Flamingoes, a tough game 2points-12, shots 82-137. Winners: Chris Phillips, Joe Millis, Albert Jackson 27-16. 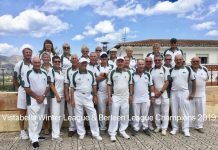 Wednesday 15th Winter League away v Benitachell; a superb result, 11points-1, 97 shots-72. 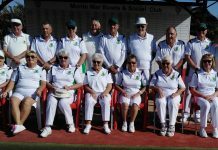 Winners: Shirley Verity, Ray Clarke, Jules Pering, Russell Marks 20-8, Ann Holland, Keith Phillips, Sabrina Marks, Mal Hughes 20-10, Pam Lockett, Mike Regan, June & Keith Jones 16-14, Irene Everett, Jo Pering, Roy Cordell, Brian Pocock 20-20, Kath Reid, Neil Morrison, Scott Malden, Ian Kenyon 21-20. 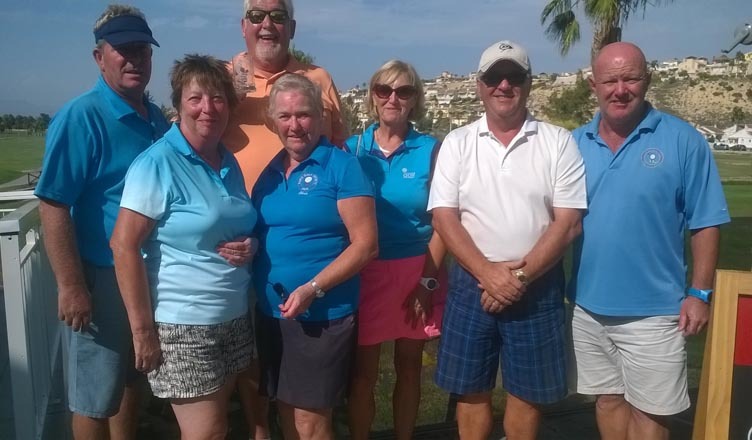 Berleen team; Sheila Cammack, Vic Slater, Peter McEneany, Giuseppe Galelli 17-17. 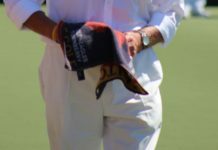 Friday 10th Southern League: SL Lions, home v SM Jaguars, a good result, 10-4, shots 142-80. 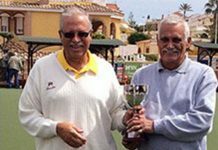 Winners: Pam Lockett, June & Keith Jones 33-14, Pat Bird, Ray Pollock, Graham Bird 43-4, Janet McEneany, Bob White, Peter McEneany 16-14. Sheila Cammack, Ray Clarke, Giuseppe Galelli 21-16. SL Tigers, away v EI Outlaws, a good result 10-4, shots 119-87. 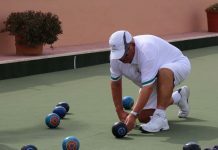 Winners: Marina Beardsall, Jan & Brian Pocock 27-9, Helen Hammond, Barry Roseveare, Scott Malden 18-9, Judy Carroll, Beryl Regan, Derrick Cooper 26-9, Irene Everett, Bill Webb, Vic Slater 20-8. SL Leopards away v VB Conquistadors; a useful result 7-7, shots 96-98. 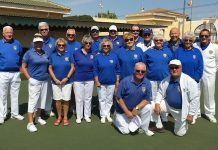 Winners: Derek Barker, Ray Whatmough, Babs Shand 26-10, Chris Jackson, Dave Tilley, Robin Harker 16-13, Audrey Ford, Margaret Clarke, Charlie Marigold 17-13, Doug & Fay Beattie, Geoff Shand 16-16. SL Pumas home v ER Broncos; a tough game 6-8, 98shots-107. Winners: Pat Baylis, Danny McErlean Phil Hasler 16-9, Chris Phillips, Joe Millis, Albert Jackson 30-14, Roger Inwards, Geoff Francis, Tom Fromson 22-15. 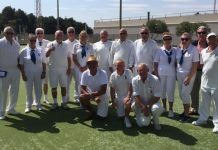 San Luis Bowls Club Report 23.02.18.